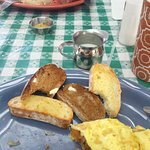 Had an omelette, which was tasty and prepared just right.... (white and red) and pretzels were!My go to quick breakfast sandwich place...... an egg/bacon croissant with lettuce and cheese and my wife had an omelette. 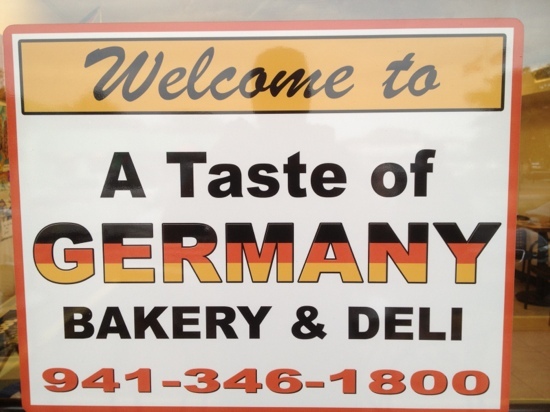 A variety of cakes & tortes, German bread loaves & rolls baked fresh daily. Please come & see the bakery case for today's selection. 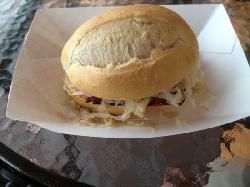 Multigrain, baguette, ciabatta plain or multigrain; salami, blackforest ham, chicken or turkey pastramy. OUR LUSCIOUS CAKES CAN BE SPECIAL ORDERED FOR ANY OCCASION! A variety off German baked treats daily. 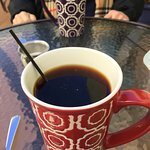 Breakfast all Day and Lunch - Bratwurst Coffee - Pastrys,cakes and Rum Cakes and more..
Can get an omelette or pastry with a good tasting cappuccino. They also have a wide assortment of liquor flavored cakes which sold in large slices in containers, tried the hazelnut rum slice - was good. 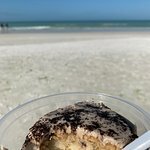 My go to quick breakfast sandwich place and cake! Wish we would have skipped it! Very disappointed. The guy gave me a spiel about all the celebrities that order their cakes, seriously?! Wayyyy over priced and cakes were not great. All four of us ordered different cakes and none of us cared to finish them. Having read a number of reviews I thought we'd grab some breakfast here. Unfortunately almost all the options had either vodka or rum in them which is not really for me at breakfast time. Especially given I have young children who's options were minimal. Wow, amazing cakes and ice creams & gelatos. The liquor cakes and ice creams are out of this world. 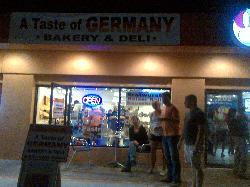 A must try when you are in the Siesta Key area. This primarily a bakery and they are known for their cakes. Even Disney World orders their cakes. But, they also do a great breakfast and lunch menu. Pricey but worth every penny, very authentic cuisine. 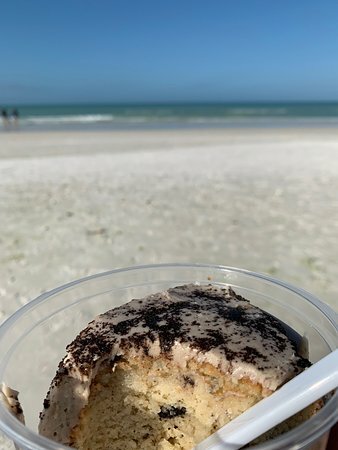 Within walking distance of the beach, Try the coconut rum cake. Best coffee and bakery ever. We returned the next day! Had an omelette, which was tasty and prepared just right. All the baked goods we tried were fresh and delicious. 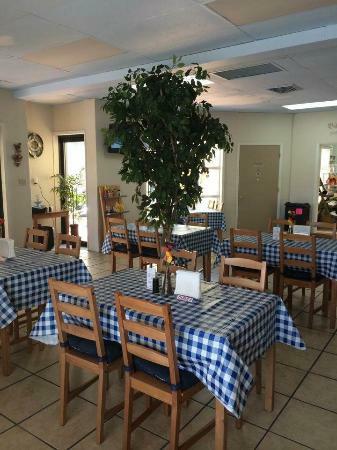 Friendly owners/staff. 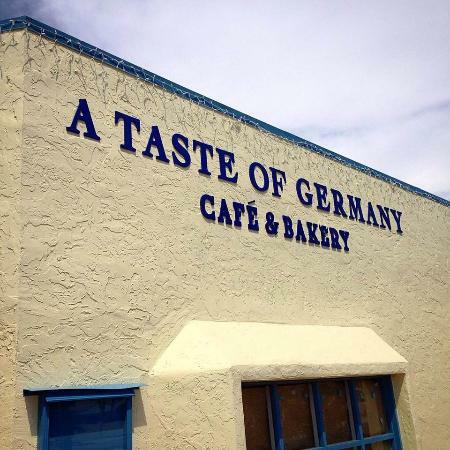 Get quick answers from A Taste of Germany staff and past visitors.